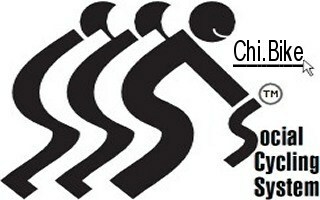 The Bedno.com/bike webapp (formerly Chi.Bike and MassUp.us) serves the needs of group bicycling events. It leverages City Portal data to plot nearby transportation and services. 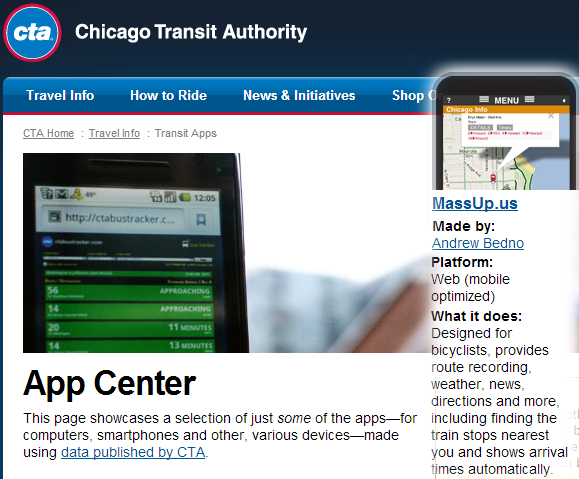 Proudly listed on Divvy Bikes and CTA Rapid Transit resources pages, and was a finalist in the Apps for Metro Chicago contest.